Lead Particles In Hair Dye A Health Risk? The news regarding the Flint, Michigan drinking water dominates the media coverage for anything having to do with lead particles and potential health hazards. However, the Food and Drug Administration (FDA) has recently begun investigating the potential health hazards from lead particles in a wide variety of consumer products, most notably, as we previously reported, in cosmetics products. A group of public health advocates recently petitioned the FDA claiming that lead acetate (an active ingredient in hair dye products, such as male hair dye products that darken grey hair when used repeatedly) should not be used in hair dye products due to its toxic and carcinogenic properties. Bowing to the pressure from the public health advocates, the FDA announced on February 27, 2017 that it will research the concerns in the petition over lead acetate and determine whether it should ban the use of lead acetate in hair dyes. In the petition, the public health groups argued that when lead acetate was approved for use in hair dyes in 1980, less was known about the potential for skin absorption of lead particles. In addition, the public health advocates argue that evidence suggests that when dye is applied, lead particles spread in the immediate environment, thereby putting children at risk of exposure to lead particles. In support, the group cited to a study that showed the potential for lead contamination on surfaces after the use of hair dye – sometimes, at levels of up to 2,804 micrograms of lead per square foot. In 2001, the Environmental Protection Agency issued a statement indicating that 40 micrograms of lead per square foot on a floor surface posed a hazard to children. 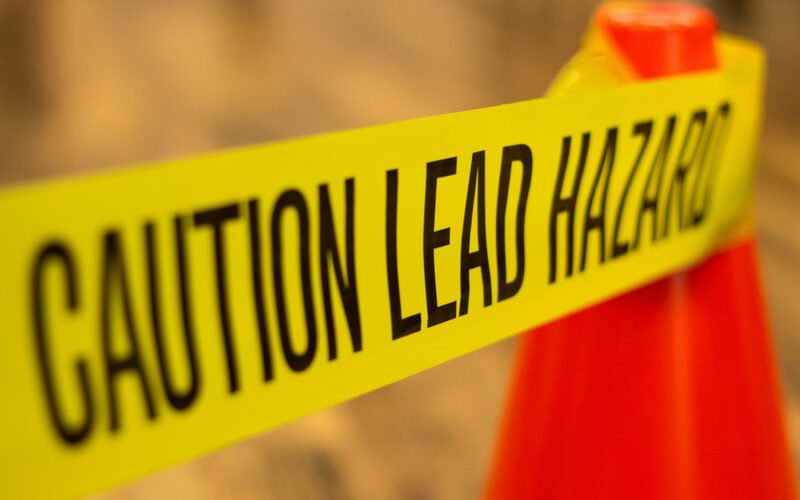 Finally, the group also pointed to the fact that lead acetate has already been banned in Canada and the European Union due to concerns over effects on human health. The FDA has 180 days to make a decision regarding the petition. If it is approved, any ban would go into effect immediately. Although the hair dye products called into question are used by adults, the underlying concern over lead particle exposure remains the potential effects that the lead may have on children, including developmental delays and neurological issues. Whenever a child’s blood lead levels show elevated lead in the blood, the easiest target for plaintiffs’ attorneys are homeowners, property managers, and landlords. This is due in large part to strict laws in many states that hold homeowners and landlords liable for elevated blood lead levels in children (whether the child shows any signs of developmental delay or not) if the child resided in the home and there was lead present in the paint in the home. As the recent calls for a closer look at consumer products that contain lead show, though, looking only to lead paint as the possible cause of elevated blood lead levels is unfair to homeowners and landlords given the number of other potential sources for exposure to lead that a child might have. It is important for landlords, home owners, and property managers to take appropriate steps to test for or monitor the conditions of lead in their homes (especially with respect to lead paint), and steps must be taken to notify tenants of potential lead paint hazards in order to comply with state and federal law. If you are a homeowner, landlord, or property owner, there are ways to mitigate the risk of being sued for lead paint claims and CMBG3 Law LLC can provide counsel to you on these subjects. In addition, if you have been sued because one of your tenants’ children has elevated blood lead levels, we can help. John Gardella has represented clients in lead poisoning claims, including defending homeowners, landlords, and property managers in Housing Court and Superior Court. If you have any questions or would like more information, please contact John Gardella (email him or 617-936-4353, ext. 204).